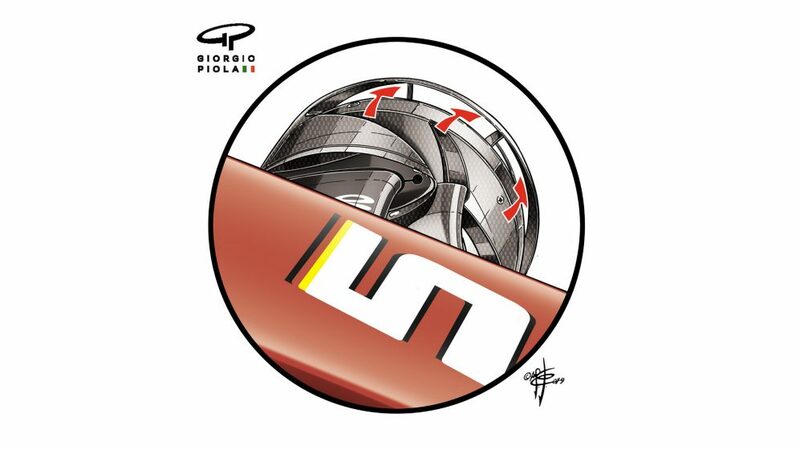 Great technical intrigue surrounds the performance of Ferrari over the last two races. 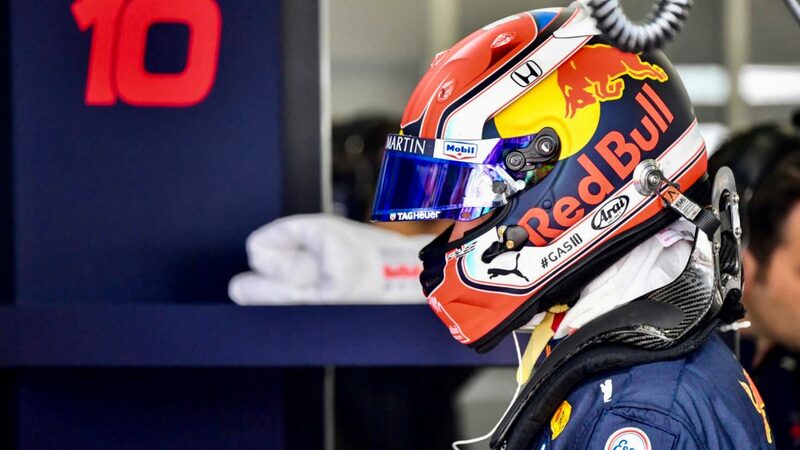 First there is the different level of performance between their struggle in Melbourne and their dominance in Bahrain. 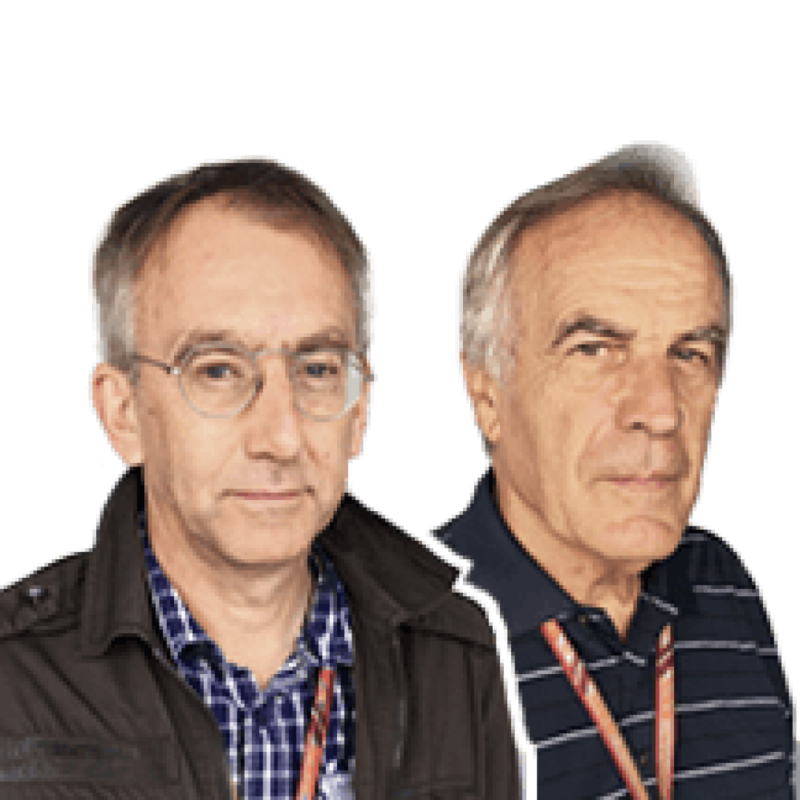 Then there are the questions surrounding the unfortunate power unit problem suffered in the late stages of Bahrain that cost Charles Leclerc victory. With an internal combustion power reduction of around 17% (one cylinder out of six), using the energy recovery would no longer be the most efficient way to run the power unit, as the internal combustion would no longer be producing enough of its own energy to feed the ERS-H as well as deploy through the ERS-K. So the power loss problem would compound – and the fuel consumption would increase. 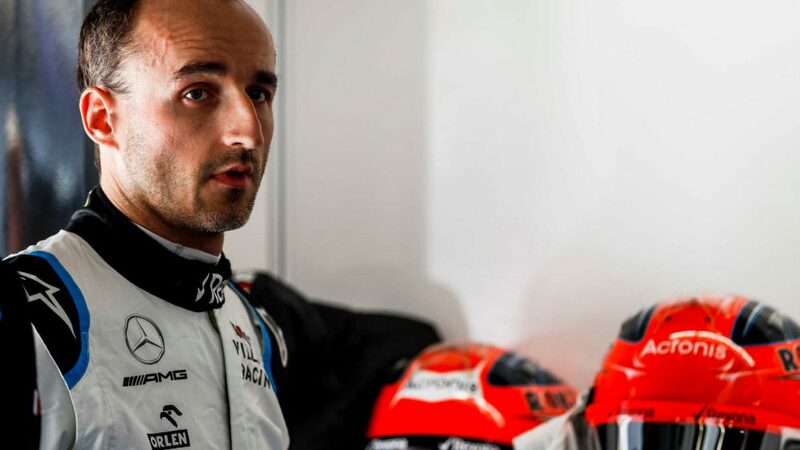 What is certain is that the Scuderia remain at the forefront of technical innovation and that, when on-song, their engine power in Bahrain left their rivals deeply impressed and worried. 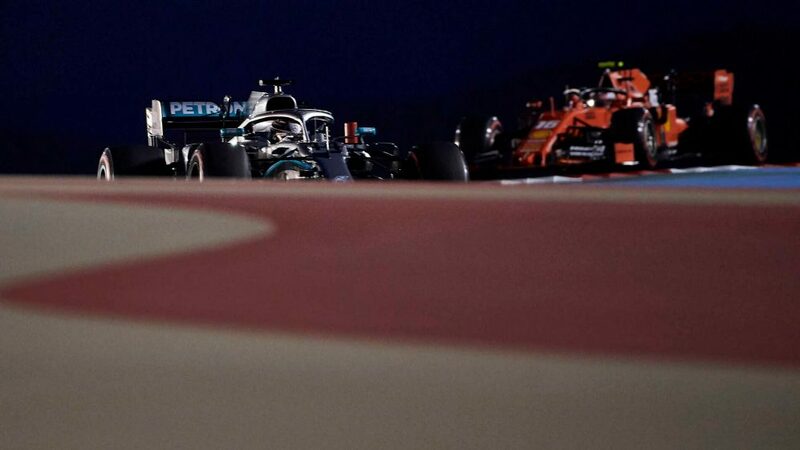 That depth of innovation is very evident too in how the team have adapted to the 2019 ban on blown axles. 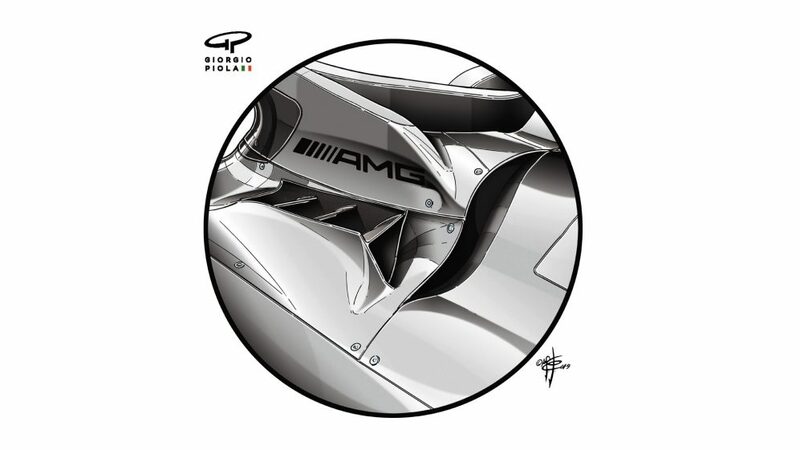 Up until last year, teams would direct air through the brake ducts at high pressure through a hollow central part of the wheel. This high-speed jet of air spilling into the free air from the wheel centre would help enhance the outwash of the airflow coming around the front tyre, helping to keep that flow separate from the flow along the body sides, thereby increasing downforce. This gave a particularly useful gain at slow speeds when the outwash airflow otherwise may not have had enough energy to remain separate. As part of the governing body’s regulatory efforts at achieving a less disruptive wake for the car behind, the blown axles were banned for this year. 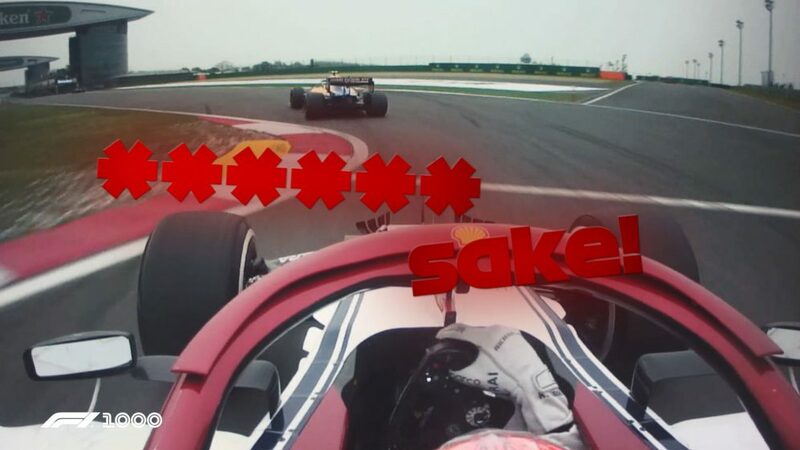 But Ferrari have sought to achieve a similar effect in a different way. 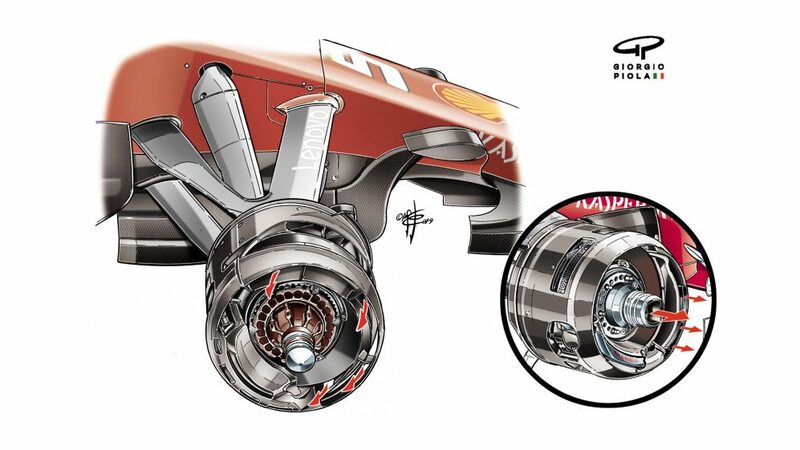 The drawing above shows how they have used holes and slats in the carbon fibre brake drum around the front wheel to induce the air to spill out in a similar way. The effect will not be quite as powerful, but the principle of enhancing the outwash around the tyre remains the same. Above, you can see the comparison between the 2019 wheel, with the airflow generated by the slots in the drum, and the inset shot of last year’s blown axle wheel. It can be seen that the brake caliper has been moved to a different part of the wheel, with a less horizontal location. This is purely to enhance the effect of the airflow generated by the drum slots. The balance between engine reliability and aerodynamic performance is always a delicate one at high-temperature races. 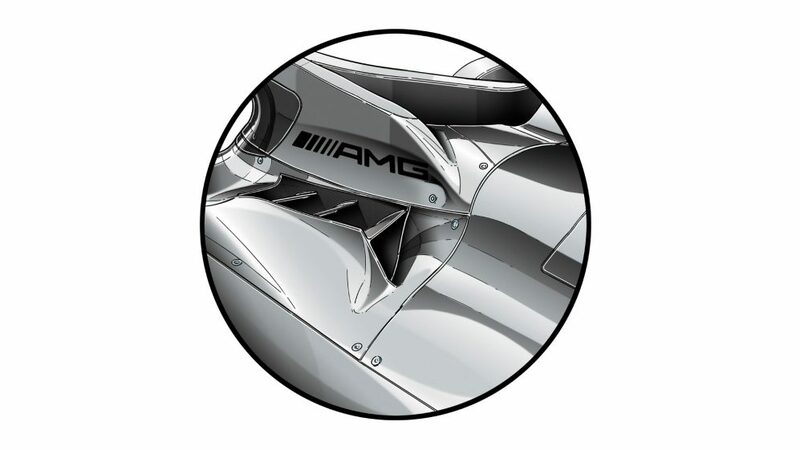 Neither Ferrari nor Mercedes had much in the way of extra bodywork cooling in Melbourne, but the Ferrari innovation of an extra cooling vertical slat behind the cockpit gills was adopted by Mercedes in Bahrain (see the comparison between Melbourne and Bahrain below). This will have cost some aerodynamic performance in the interests of reliability. 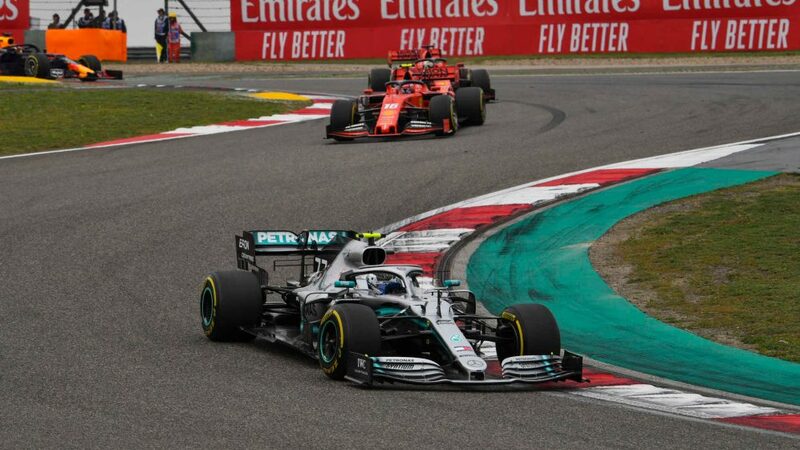 In what looks likely to be another fight for the championship between these two teams, getting that balance between performance and reliability is going to be absolutely crucial. Two races is far too small a sample size to judge if one has it more right than the other.